Cooking for one is a unique challenge. There are some perks, like not having to worry about satisfying a bunch of people’s different preferences, but there are some unique challenges, too. Like…making a big, delicious meal and getting stuck eating that same thing for every dinner for a week. Or accidentally letting food go bad because you just can’t eat it all fast enough. Or lacking motivation to cook at all because it’s only for yourself. 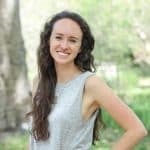 Now in my third year of cooking for just myself on a daily basis, I thought I’d share some of the tips & tricks I’ve learned in case they can help out other people in the same boat! I often make a full recipe that serves 4 or 6 people and freeze the leftovers in individually wrapped single-servings. Pasta dishes (lasagna, baked ziti, etc. ), soups and stews, rice dishes, and chili all reheat well after being frozen. Even chicken & veggie stir fry freezes really well, and then I’ll freeze an individual serving of rice in a separate bag. If you think about all of the of meals you can buy frozen at the store, there’s a good chance that your homemade version of that meal will freeze well, too. Grilled chicken also freezes pretty well, which I’ll add to salads. 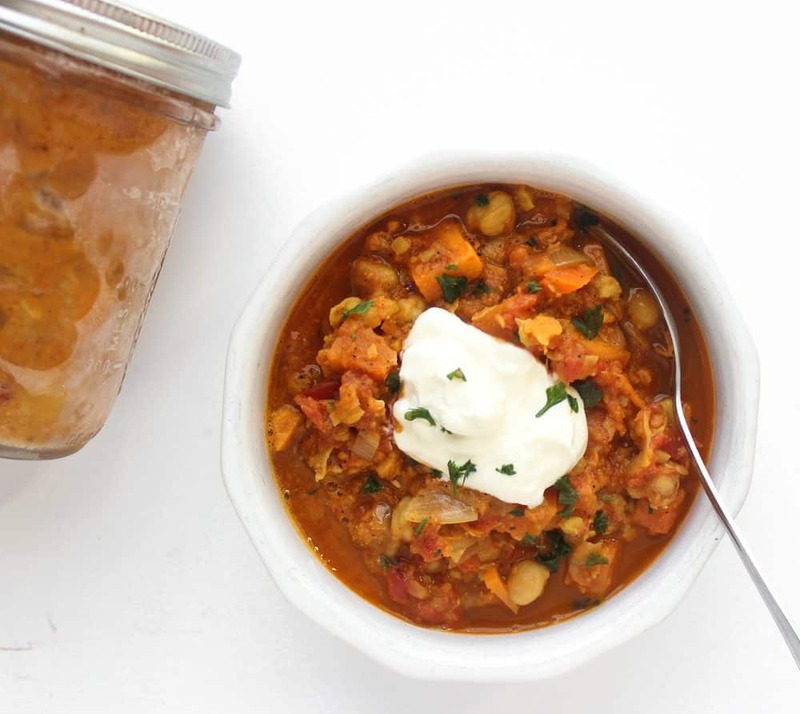 I use pint-size mason jars to freeze individual servings of soups, stews, and chilis. To freeze other homemade meals, I wrap a (completely cooled) serving in parchment paper, and then place the parchment paper-wrapped square in a fold-top sandwich bag. Then, I put the small bags in a gallon-size freezer bag. In my mini fridge freezer, I currently have sweet potato chickpea stew, chicken & veggie stir fry, lasagna, and black beans & rice. If I buy bread or tortillas, I take out one or two pieces and then freeze the rest right away. Although I’m not a vegetarian, I’ve found that cooking vegetarian meals for one is great for a few reasons. First and most obviously, vegetarian meals are relatively inexpensive and that’s usually not a bad thing. Second, vegetarian leftovers taste great longer than dishes with meat in them and when cooking for one, there are definitely a lot of leftovers. 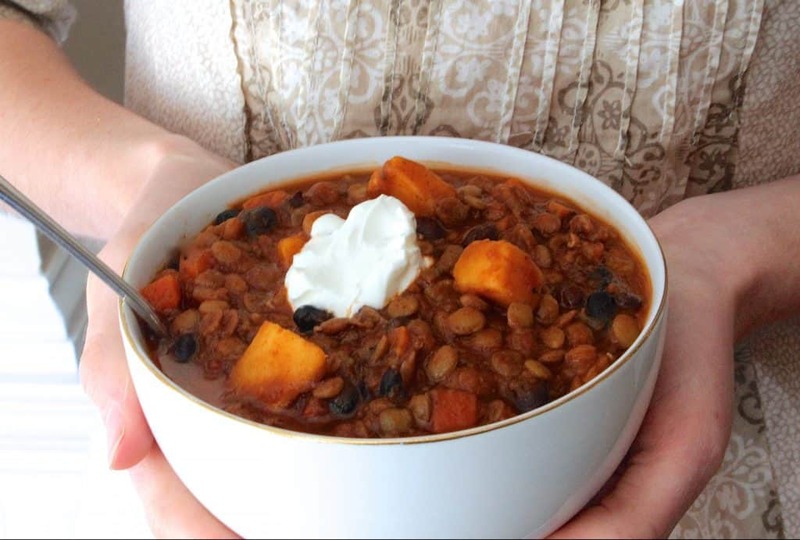 My favorite hearty vegetarian recipes on the blog are are sweet potato and chickpea stew, black beans & rice, and sweet potato & lentil chili. While I don’t “meal plan” exactly what I’ll have for every meal, I come up with several options for every meal. Then, I shop for all of those ingredients and make whatever I feel like eating each day, based on my original list. Most people love having other people cook for them and that’s especially true as a college student. If I’m dying to make a batch of cookies, I’ll make some with the intention of eating one or two and giving the other dozen away to a friend. 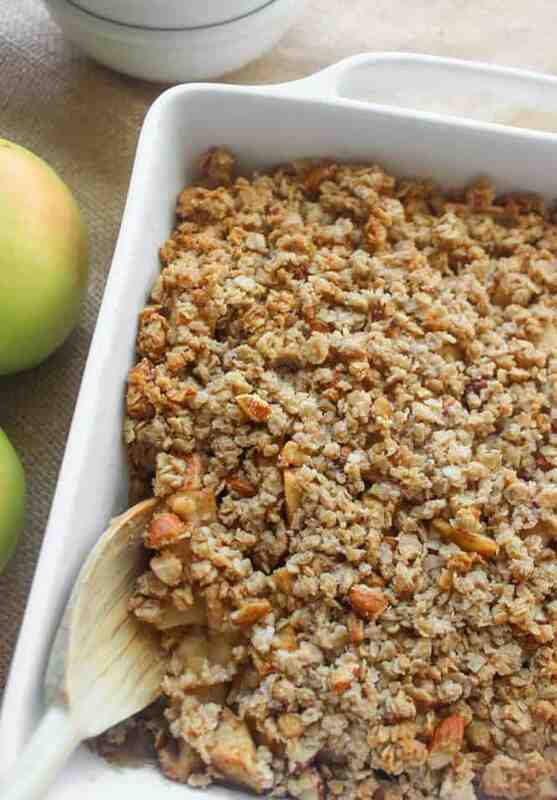 I invited a few friends over for apple crisp last week! I’ll also invite friends over for dinner in my dorm room sometimes when I make a “real meal” (i.e. things other than scrambled eggs, salads, oatmeal, etc.) and it’s always a fun time, plus I get taste-testers for recipes I’ve created! Having a few good containers makes leftovers look much more appetizing and helps them stay fresh for longer than just throwing a piece of aluminum foil on top of a bowl. Glass containers are really nice to have so you can heat and eat leftovers directly in the storage container, rather than having to transfer them out of a plastic container onto a plate. -Add leftover roasted veggies to a salad. -Mash part of a leftover sweet potato and make a sweet potato & black bean quesadilla. -Toss the leftover veggies in your fridge (tomatoes, carrots, potatoes, turnips, parsnips, mushrooms, Brussels sprouts, onions, etc.) on a baking sheet with some cooking oil, salt, pepper and garlic powder and roast for approximately 20-30 minutes at 425 degrees or add them to a stir-fry. -Cook extra grains (rice, quinoa, etc.) when for dinner and use them as a base for lunch bowls. -Chop leftover chicken and make chicken salad. Those are all of my favorite tips for cooking for one! I should add that I don’t always cook for myself every day. Sometimes, I have a smoothie for dinner and other times, a frozen Amy’s burrito saves the day. I go out to eat with friends maybe once a week, and eat homemade meals with people a lot more often that that. In general, making most of my own foods saves lots of money and tastes a whole lot better than eating only store-bought frozen meals or eating out all of the time. Hope these tips will help ya out if you’re in the same situation! Do you have any tips for cooking for one or two? 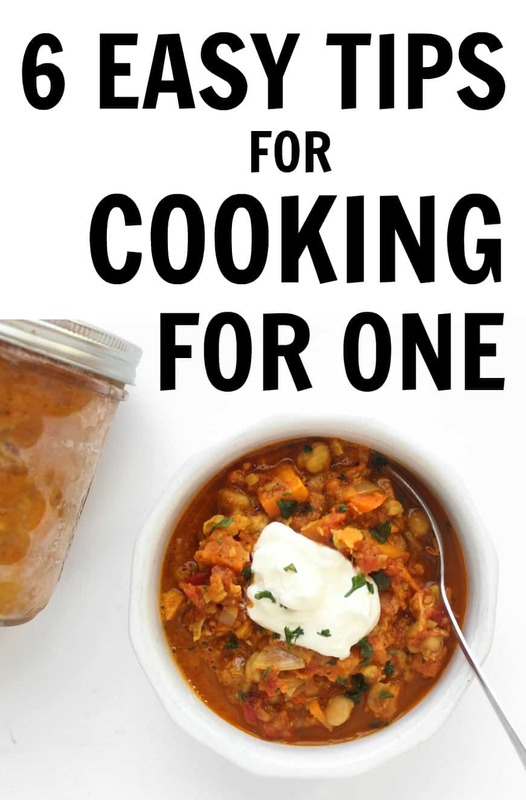 I do very similar things since I am also cooking for just myself most days. Another one I have found extremely useful is buying high quality meat from a butcher where you can buy just as much as you need. I am picky about my meat so going to a local market I trust is the first step but the other great part about this is you can literally buy just one chicken breast or a half pound of salmon. I like this because meat is usually something I don’t love having a lot of leftovers of. I save money while also getting some of the best meat in town! That’s a great tip, Hayley! I cook almost entirely vegetarian at school but did happen to buy ground beef yesterday and I just wanted half of a pound, so that’s what I asked for at Whole Foods. Love grocery stores that let you pick out exactly how much you want! Great tips! I wish I utilized the freezer more during my younger years, its an amazing creation! Especially because when I lived alone, I didn’t want to cook every night, so cooking in bulk and being able to have some for leftovers made a huge difference! It is so amazing that you can get all these foods in your freezer. You look great, so your diet obviously works. Making a list of different meal options for the week definitely helps me, and it makes sure I won’t be wasting stuff/money! Great tips girl! Definitely- I can’t stand wasting food! These are great tips for streamling meal prep in general and for cooking for one! 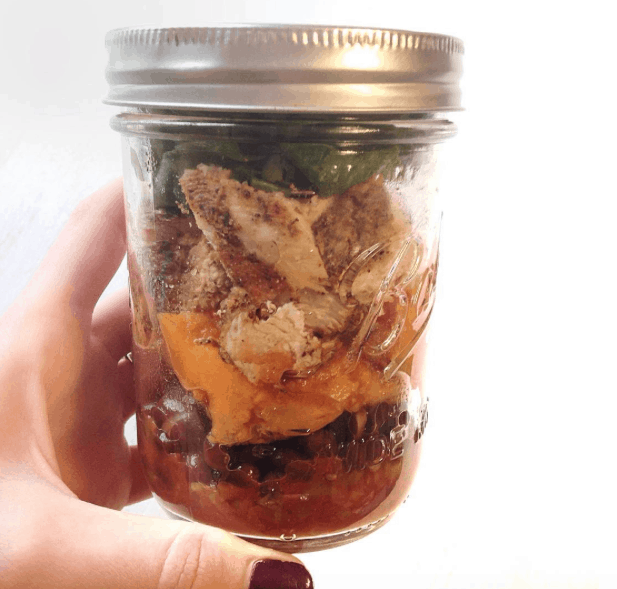 I love my mason jars for everything from storing dry goods to carrying lunch to keeping leftovers fresh in the fridge! Thanks! I agree, I have 3 or 4 mason jars at school and I use them for everything from packing my lunch to freezing leftovers to drinking smoothies! I’ll admit I totally just looked up nomato sauce because I’d never heard of it before- sounds really interesting! Are you allergic to tomatoes or not a fan? Awesome tips! I’m a huge fan of leftovers, too! I so agree. I’m not really a vegetarian, but when my family is gone, I just do a lot of more vegetarian style meals. And the idea of freezing single servings is a great idea too. Cooking for friends is probably my favorite tip here, because I love to cook for others. So do I! I think sharing food with other people makes the whole meal experience 10x better! love it! i use the freezer a ton, and mix up meal leftovers to switch things up. It sounds like the freezer tip is a recurring one among us college girls…t’s a good one! It sounds like we use a lot of the same tricks 🙂 Great minds think alike! Hey Olivia, you have shared such a great tips. I will also try to make the delicious food by using your tips. I want to become healthy and it only can happens by eating healthy food. Thanks for sharing nice blog. I like what you have acquired here, very tasty and healthy recipes, thanks for your help. Firstly thanks for sharing this amazing post. Seriously, I love all these tips for cooking. This is the best site I’ve seen! Wow, such a great cooking tips! All of this food is so much Alluring. I really like your tips. Your all cooking tips are helpful and informative. Seriously, thanks for sharing this post. I enjoy it. Kepp more share. I love your easy cooking tips! Thanks for sharing nice blog. I’m so glad you enjoyed these tips, Martha! Liv, thanks for sharing this wonderful post with us, I wonder why I don’t come across this earlier. 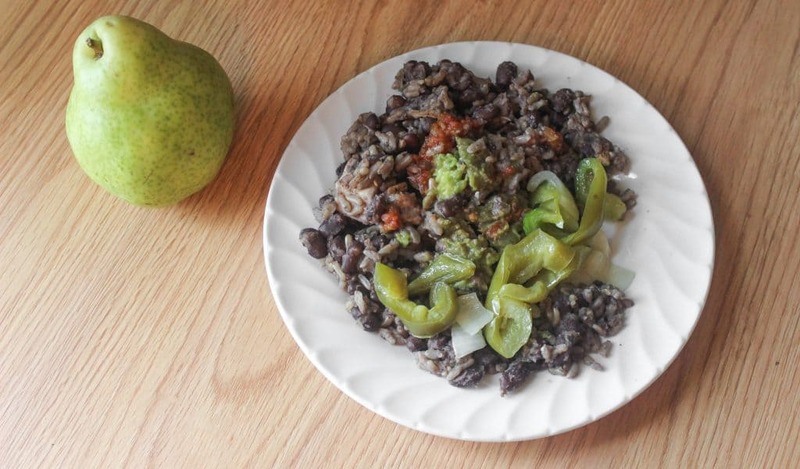 Black bean and rice combo are a bit hard for me to inculcate. Anyway, big Kudos to you, Awesome post!!! I’m so glad you enjoyed this post!! We shared these vegetarian meals this week. Everyone in the family loves it! Every bite burst with happiness, it’s like the heaven opened its gates. This is so good, so thumbs up!